This is the solution: Get big money out of our politics and end the fiction that corporations have constitutional rights, as if they were people. A growing grassroots movement is spreading rapidly across the states in response to the U.S. Supreme Court’s Citizens United decision. We the people have the power to overrule the Supreme Court, by amending our Constitution. We’ve done it 27 times in our history, and the time has come to do it again. 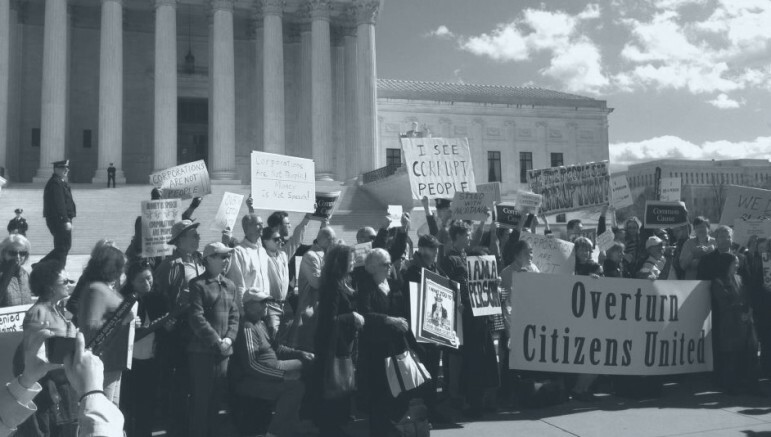 We are calling for a constitutional amendment to overturn Citizens United and to reclaim our democracy. (2) to make it clear that corporations are not people with constitutional rights.